Tim Burton is a bit like the character he creates in his movies—whimsical, highly animated, and quite appealing in a quirky kind of way and larger- than- life. 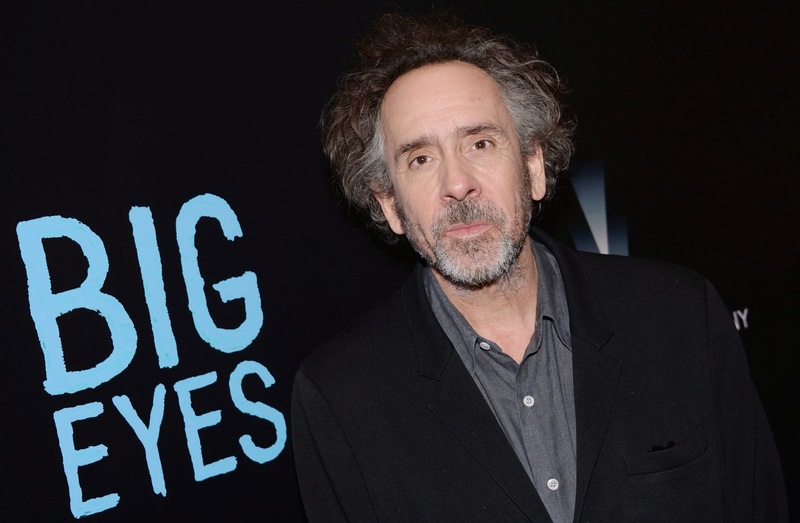 His latest movie ‘Big Eyes’, opens on February 25, across the Philippines! In Manhattan, Burton’s hair and beard were a bit scraggly, and he spoke with his hands waving in the air. It is clear: he is passionate about three aspects of his life: his films, his art and his family. Among his unique movies, most with a strong cult following, are, Batman, Batman Returns, Mars Attacks, Sleepy Hollow, Ed Wood, Big Fish and Sweeny Todd: The Demon Barber of Fleet Street. Burton has creatively directed from his vivid imagination numerous darkly-themed children’s movies, including: Charlie and the Chocolate Factory, The Nightmare Before Christmas, James and the Giant Peach, Frankenweenie, and Alice in Wonderland. Big Eyes, from The Weinstein Company, is the biographical drama film directed by Tim Burton. The film focuses on Walter Keane (Christoph Waltz), an artist known in the 1950s and 60s for his kitsch paintings of large-eyed waifs and his then-wife Margaret Keane, (Amy Adams). The film tells the outrageous true story of their heated divorce battle wherein Margaret accused her husband, Walter, of stealing her paintings. The bazaar and shocking truth would later be discovered: Walter did not create any of the art work, but instead his wife did, and the Keane’s had been living a colossal lie that had fooled the entire world. The movie is too incredible to be fiction, and focuses on Margaret’s awakening as an artist, the success of her paintings and her tumultuous relationship with her husband , who was catapulted to international fame while taking credit for her work. The script was written by Scott Alexander and Larry Karaszewski, the screenwriters behind Ed Wood, and is based in Los Angeles. In 2003, they began researching the story that would take 10 years to become a film. Burton has long been involved with Helena Bonham Carter, and they have two children: a son Billy Raymond, 11, and a daughter, Nell,7. Please talk about approaching this story of Big Eyes as a parent? I don’t know if that has everything to do with it for me. I mean, I came at strangely, from growing up in that era. Because growing up in that era and understanding the cultures that I grew up in, it was sort of the end of the American Dream. And that kind of idea. The sort of the idea of this dysfunctional couple coming together. And ..creating these mutant children! It just felt like my family! You know, it just felt like of like this sort of…So it had this strange, so I sort of came at it in this strange way. But you know..I’ll never show this film to my children! I’ll show ém Sleepy Hollow, Sweeney Todd. But not this one! 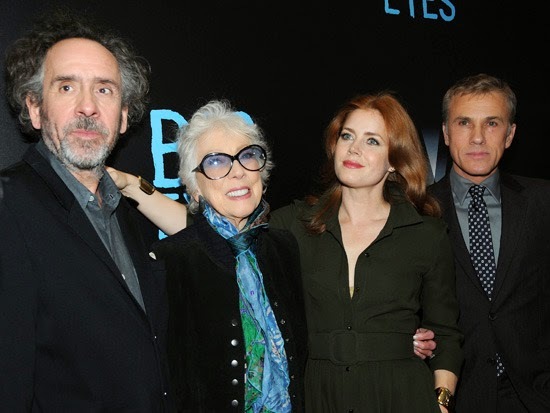 What grabbed your attention about these actors [Amy Adams and Christoph Waltz] you chose for your new Tim Burton universe, Big Eyes? everybody’s been getting sick of the people I was working with! And, I know. It’s sad, isn’t! And I showed up occasionally, yes! I am sure you were there more than that. Please talk about your attention to those Keane paintings? I found them fascinating, but quite disturbing, actually! Like Big Brother watching you –those big eyes. And the sort of polarized responses to it. Some people love it, obviously. And some people just wanted to…rip it off the walls! So that kind of response is what I found quite fascinating. How did this project come about, between you and the writers –Scott Alexander and Larry Karaszewski? We were actually working in parallel! universes! Because I didn’t know that the screenwriters were writing a script! And I knew Keane’s work, because I grew up with it. But I didn’t know the real story. And a friend of mine told me the story. And went to San Francisco and met Margaret Keane. And I commissioned a painting from her. Then I don’t know how long after that, but we had done Ed Wood together. And they approached me about doing this movie. Were you drawn at all to Margaret Keane because of your own personal experiences, in a Hollywood movie industry dominated by business interest over art? about 100 times worse than Keane! You know what I mean? It got so lambasted. And at the same time …it had a high attendance rate! So I’ve experienced that kind of thing, of like good and bad. Because when you do something, you’re very passionate about it. Whether it’s Ed Wood or the Keane’s , you know, there’s just such enthusiasm. And they thought they were making probably like..Michelangelo! As Ed Wood thought he was making Star Wars. You know, when he was making Plan 9 From Outer Space! So you understand that kind of misguided enthusiasm. And then you sort of understanding the polarization of people’s response to things. Why do you think the Keane art was not embraced by the psychedelic world by then? But it was very druggie! You know, big eyes, large pupils. I mean, It’s somehow weirdly fit into that scene! And I always admired Margaret’s high-waisted look! Why do you think that this film isn’t as dark as your other movie? For me. you have the time, the era, and you have the paintings. Which suggest something, strange color schemes that are those paintings; part of the vibe of it. And then, just the story. I mean, the relationship between Margaret and Walter and the other characters, in my own mind, it started to feel like a weird sixties, kind of slightly Hitchcock. Please elaborate—what do you mean by this? Well, I found myself strangely drawn. I mean; the color scheme just fit the era and the paintings, and the kind of psychological relationship, and feel of the movie. So you know whether it’s black or white or color, you try to support that. And make it a character, in a way. So just all of those elements made it…what it turned out to be! The movie is in large part struggle between abstract and popular art, Where do you stand in that struggle personally? Again, it’s a fascinating thing about people’s perception of art. And you see it today. Either it speaks to you, or it doesn’t. And I think the reason the story really sort of flew under the radar, is that most critics, most people, didn’t really consider it art. So it didn’t hit the major headlines. You know; it was sort of on the back pages. Whatever. But like I said. I myself have experienced from the very beginning of my career, people loving and hating me. And also, people would say about my movies, ‘Oh it’s so much lighter.’ And at the same time, it’s so much darker. So I found that a sort of juxtaposition. How could something be light, and then other people see it as completely dark. So people’s perceptions of things fascinate me, you know? Is that how you see the film Big Eyes? Yes, in that way I think this is perfect story , and an example of that sort of question. And it’s kind of an unanswerable question! It’s just sort of a presentation of that dynamic. But I loved it, because I also hated it! You know what I mean ? There’s something about it like, why would grown people have…images of children hanging in their living room! It seems like people do that. If you put yourself in Walter Keane’s shoes for minute, what do you think was going on inside his crazy head? In his version, he was Henry Higgins! She was ElizaDoolittle, and, it was a failed experiment! “BIG EYES” is released and distributed by CAPTIVE CINEMA!